For many, the thought of Northern Nigeria conjures up images of bomb-damaged and dangerous cities with inhospitable residents; however, this is not entirely true as the region features idyllic cascades, picturesque plateaus, captivating architecture and welcoming locals who are proud to show off their local cities and culture. Those who are eventually drawn in by allure that the northern regions of of the country has, very rarely know where to go in that corner of the nation, and so for the most part end up avoiding it all together. There is however something very unique and exotic about these cities that should make most Nigerians want to visit at least once in their lifetime. Here’s a look at Jovago.com’s Top 10 cities to visit in Northern Nigeria! The capital city of Kebbi State and headquarters of the Gwandu Emirate, Birnin Kebbi is a city that boasts a blend of culture, history and tradition. Despite its decline as a river port owing to unstable political conditions, it now serves as a major local market center for food resources. Its narrow streets are lined with restaurants and bars beckoning for you to eat, drink and appreciate the culture. Kaduna, the capital of Kaduna State is a popular trade center and a major transportation hub in the northern region. 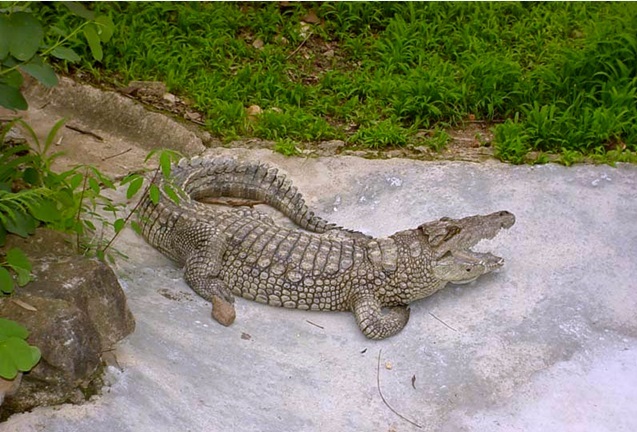 Its symbol is the crocodile, called kada in the native Hausa language. While the city has lost some of its allure, it remains scenic, welcoming, and rife with landmarks and cultural attractions, securing its position on list of must-go cities up north. The capital of Kano state and the commercial nerve centre of Northern Nigeria, as well as the second largest city in the country after Lagos, Kano is a city to experience. Somehow Kano remains overlooked by foreign visitors as a major destination, especially since it does not boast of skyscrapers, but is rather filled with low-rise buildings, mostly in a splendid neo-classical style. Those who eventually venture into the city however discover a city of first-rate architecture, food, and cultural life. Some of its tourist attractions include Kurmi Market established in the 15th century, Kano’s centuries-old city wall, and Gidan Rumfa (Emir’s Palace, the oldest continuous site of authority in Nigeria). 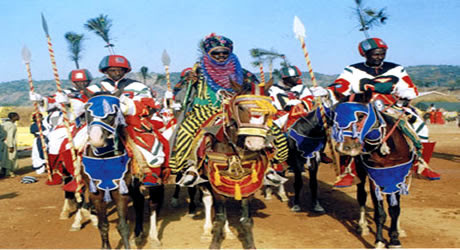 Known for its festivals, especially Durbar whose main feature is horse racing, as well as its arts and crafts, versatile production of metal works (such as weaponry), pottery, mat weaving and leather works, Bauchi is a city of complex character and genuine appeal. Their traditional wrestling and boxing dexterity, draws in participants even from neighboring countries of Niger, Chad and Cameroon. Other attractions include the Wikki warm spring, Yankari National park, Sumu wildlife, Marshall Caves, Dukkey wells, and Tunga Dutse. Formerly known as Zazzau and a major city in Kaduna State in Northern Nigeria, Zaria is one of Nigeria’s oldest cities and therefore has lots of history to tell. However, not everything about the city is old. It has a young population thanks to Ahmadu Bello University, the largest in Nigeria and the second largest on the African continent. There is a certain old world atmosphere in several of its neighborhoods radiating from a place where people typically reside in traditional adobe compounds. And there is always something to do, with all the major sights within walking distance. While it has more of a local than national appeal, Suleja may be the most attractively surprising city in Nigeria. It’s an overlooked treasure in Niger state, just north of the country’s capital, Abuja. There are great restaurants and galleries, and a major dose of history. It is also recognized as a center of excellence for traditional West African pottery, namely the world famous Ladi Kwali Pottery Centre, established by Michael Cardew in 1950. This city is a year-round destination that is worth at least a weekend or one night of your life. Although Jos has been greatly affected by religious and political crises and other social problems in recent times, it is a city that should be on any Nigerian’s itinerary. There is the numerous sights and sounds, majestic wildlife and excellent food. It’s a city that, despite its recent history, still exudes an intangible charm. A truly inspiring metropolis, Yola also serves as the administrative capital of the Adamawa state. Some of the best things to see and experience in Yola include: theThree Sister Hills, which are three scenic rock formations standing side by side at the same height; the Njuwa Lake fishing festival; The Lamido’s Palace and the annual horse-riding durbar. Take a city tour to get your bearings and see all of the beauty that is Yola. A town in Central Nigeria, Lafia, is a labyrinth of narrow pedestrian-friendly streets, and historic architecture that ignites the wanderlust in everyone who visits the city. It is currently the largest town in Nasarawa state.